If you need immediate garage door repair from a team of experienced professionals, turn to Steel City Garage Doors for emergency services. We specialize in 24/7, emergency garage door maintenance of all types, including commercial and residential doors. Because of the amount of force a garage door can apply, it is important to never attempt a repair, if you are not a professional. We have the tools and equipment to stay safe and not cause further damage to the door. Expect fast and high-quality service from our family-owned and locally operated company with every garage door repair in Pittsburgh, PA, and the surrounding areas. If your garage door is off track, this could be a result of an unstable cable, bent track, or another issue you cannot see. The force of a garage door is considerable and it is not worth an at-home repair attempt because your safety is at risk. In the case of your door being off track, it is important to remove everything in the potential path of the door and then follow up with a professional garage door repair service. 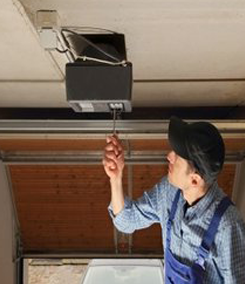 We keep our trucks stocked with replacement parts, so your garage door gets fixed right away. In some cases, an off track garage door will require the shipment of a replacement part. Our technicians will temporarily repair the track until the permanent repair can be conducted. Contact us today to schedule a service with our locally owned and operated garage door repair company. We are pleased to serve clients in Pittsburgh, Murrysville, and Mt. Lebanon, PA! 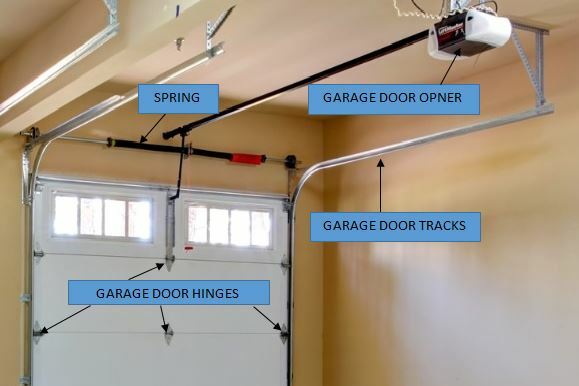 The garage door spring system is the most common problem with the garage door system. The automatic garage door operator or the garage door opener is the second most common failure. If the door can be closed, for safety purposes we will shut the garage door first, to prevent door damage or human heart. The door can be slammed shut strongly with no control is something that can make damage to the garage door itself and or physical damage to a person. First we need to isolate the two systems, the garage door and the garage door opener in order to diagnose a failure. In order to do that we disengage the garage door opener from the garage door itself by pulling down the red rope that hangs down from the garage door opener. Then we will start to exercise the garage door opener up and down from close to open position without the door load. When pressing the wall button or the remote controller in order to open the garage door, the opener's carriage should move backward toward the motor and stop right before the mechanical hard stop. When you press again the garage door opener wall button or the remote controller the garage door's carriage should move toward the door and should stop about 2"-12" from the hard stop. If all functions properly as described diagnose the garage door itself. To check the garage doors functionality you need to open and close the garage door manually. Hold the door from the inside by the handle, if there is no handle you need to prevent moving the door when your fingers are between the hinges or the sections as they can pinch your fingers. When you lift the door you should let the door stay still when it's 2-3 feet from the ground, and the garage door should stay still without drifting down or up if the proper springs are installed. Now move the door all the way to open position and down to the ground, the garage door should move smoothly without any obstruction during the travel and without using excessive force.